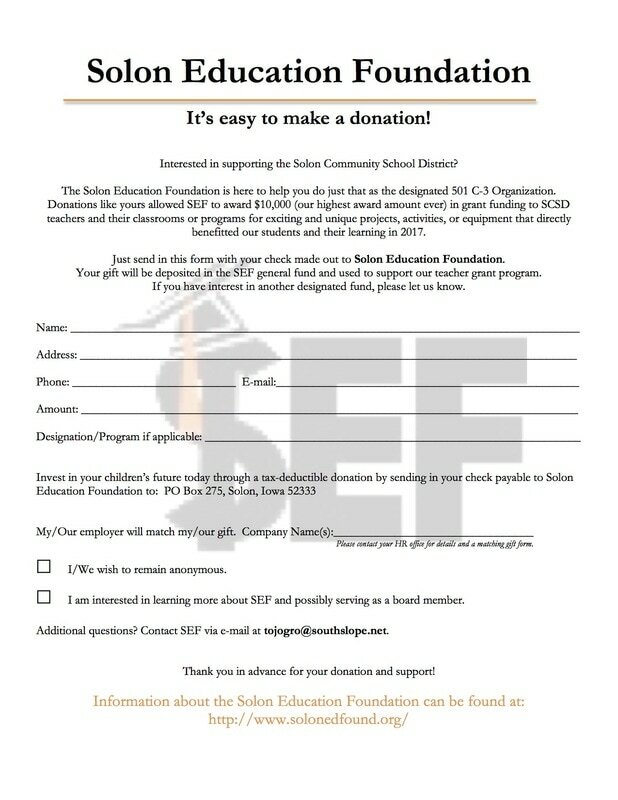 The Solon Education Foundation is here to help you do just that as the designated 501 C-3 Organization. Just send in the donation form with your check made out to Solon Education Foundation. Monies will be deposited in the SEF general fund. If you have a designation interest of how the funds should be used please let us know, and the SEF board will take that into consideration. Please invest in your children’s future today through a tax deductible donation by sending in your gift to PO Box 275, Solon, Iowa 52333. If you have additional questions, please call, 319-624-3231. Thank you in advance for considering a donation!